AGD has been actively involved in the redevelopment and transformation of Lincoln Boulevard in the City of Santa Monica. 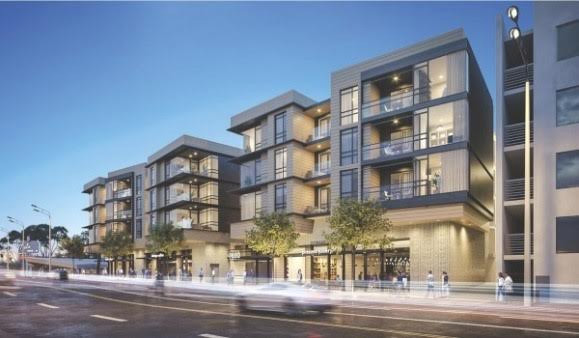 Over the course of the last few years AGD partner Dave Rand, who specializes in Santa Monica land use, has assisted multiple clients secure entitlements, (including multiple Development Agreements) for seven mixed use projects proposed on Lincoln Boulevard in Santa Monica’s downtown. These projects will deliver over 650 much needed market rate and affordable housing units with active ground floor restaurant and retail uses, public art and community benefits. Construction has begun on multiple projects beginning Lincoln’s transformation from a drab, unwalkable corridor to a new vibrant, pedestrian friendly, mixed use neighborhood.